Image: Jackson Land and Cattle was listed for US$175million in 2011. Photo courtesy of Business Insider. The Shire of Cardinia in Victoria is home to the most expensive farmland in Australia, according to a report released earlier this year. The Australian Farmland Values 2016 report shows that land in the area sold for a median price of $21,999 per hectare. The Shire of Cardinia borders the south-eastern side of Melbourne and major residential developments is a key driver in the value of agricultural land. In contrast, the cheapest land in Victoria was in the Wimmera Mallee with a median price of $1,282 per hectare. In 2016, 51 parcels of land around the towns of Birchip, Donald and Wycheproof were traded, indicating strong interest from buyers in a traditionally tightly held region. In New South Wales, the most costly land can be found in the Northern Rivers region, 50kms south of the Queensland border. Land in the Shire of Byron sold for a median price of $17,794 in 2016 with only nine recorded transactions. Fertile soils and favourable weather make the region ideal for a range of agricultural commodities including beef and dairy, vegetables, fruits and emerging crop varieties such as macadamias, bamboo and lychees. The cheapest land in New South Wales can be found in the Central Darling region, with a median price per hectare of $57. Land in the Adelaide Hills has driven the median price of land to $18,278 per hectare. Reliable rainfall and the appeal of lifestyle properties continue to drive demand in the area, which has a three-year average median price of $19,407 per hectare. On the Eyre Peninsula, land around Cowell was sold for a median price of $358 per hectare. You can still snap up a bargain in Queensland, with land selling for $41 per hectare at Croydon in the far north. Farmland between Brisbane and the Sunshine Coast recorded the highest median price at $15,694 / hectare. In Western Australia, Busselton boasted the highest price per hectare at $13,041, while Mukinbudin country sold for a mere $411. A 2015 report by the Financial Times (London) revealed that Ireland has the most expensive agricultural land in the world, worth an average of $13,600 per acre. The second most expensive agricultural land is found in New Zealand ($8,532 per acre), followed by Denmark ($7,934) and the UK ($5,448). The price of agricultural land in the UK doubled between 2010 and 2015, making it a better investment than high-end real estate and even gold. In America, the most expensive farming land can be found in the Napa Valley, famed as the country’s premier wine growing region. In 2012, land was worth up to a staggering $378,000 per acre, with one transaction realising a $6.3 million asking price for a mere 3 acres of land. 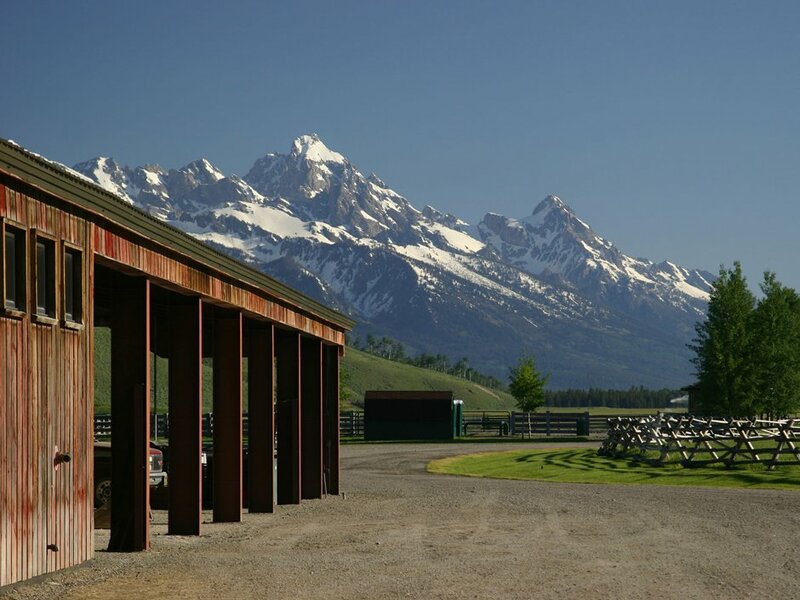 In 2011, a 1750-acre ranch – Jackson Land and Cattle at Jackson Hole, Wyoming – was listed for $220 million – the most expensive ranch on the market at the time. The property boasted ‘an equestrian centre, ponds, a spring and breathtaking scenery’, as one would expect from a property worth $126,000 per acre. The largest property in Australia and the world’s largest cattle station – Anna Creek station in South Australia – was sold for a comparatively bargain price of $16 million in 2016. The 6 million acre property is bigger than Israel, with the ability to carry up to 17,000 head of cattle. The largest farm in the world is the Chinese super dairy – Mudanjiang City Mega Farm at Heilongjang. The 22,500,000 acre farm was expanded in 2011 in response to the Russian ban on EU dairy products and supports a herd of 100,000 dairy cows. Note: Prices in this article are quoted per hectare for Australian farmland, and per acre for land overseas. All prices are quoted in AUD unless stated with currency rates as at 24th July 2017.